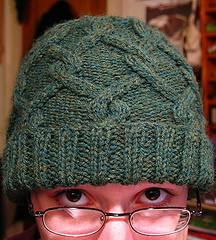 From the pattern: "This hat was an exercise in math, cables, and killing boredom. 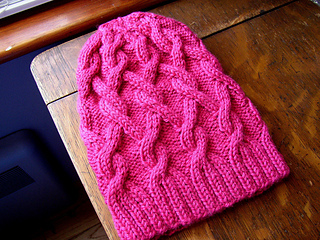 If any of those appeal to you, or if you just think it’s pretty, you should make this hat. It’s one-size-fits-all, because I figure that if it fits my huge noggin, it’ll fit everyone else’s, too."